The Dolomites, a vast mountain range in Italy’s South Tyrol (also known in Italian as Alto Adige), is the home to an impressive selection of ski resorts boasting heavenly pistes and azure skies. Pretty alpine towns and villages provide guests with the ideal base to wine, dine, relax and party the night away after a day on the slopes. Resorts offer everything from the height of luxury to the cheap and cheerful (some of the region’s best pizzerias serve a Margherita for under €10). There are cozy mountain huts aplenty and a lively après-ski – just don’t go too heavy on the schnapps if you’re still at the top of the mountain. South Tyrol has been a self-governing Italian province since 1948, having originally been part of Austria. Though Italian, its proximity to the Austrian border means there is also a strong German/Austrian influence in the region. The mountain range, now a UNESCO World Heritage Site, offers a fantastic variety of skiing opportunities for all ages and abilities. There is also plenty of off-piste skiing for the more intrepid amongst us. What’s more, the abundance of snow cannons assures the pistes are always covered in snow, even if winter temperatures are warmer than expected. Ideal for both beginner and veteran skiers, making it perfect as a family destination or for mixed ability groups. Val Gardena has a wonderful atmosphere and friendly locals, many of whom speak at least a little English. The resort is composed of three municipalities: Selva, Santa Cristina and Ortisei. Selva is a real gem, with fantastic accommodation and charming, cosy bars. Ideal for young adults. This resort is fairly unknown to international tourists, despite being the largest and most modern resort in South Tyrol. With 116 km of ski runs there is plenty to do in the day. 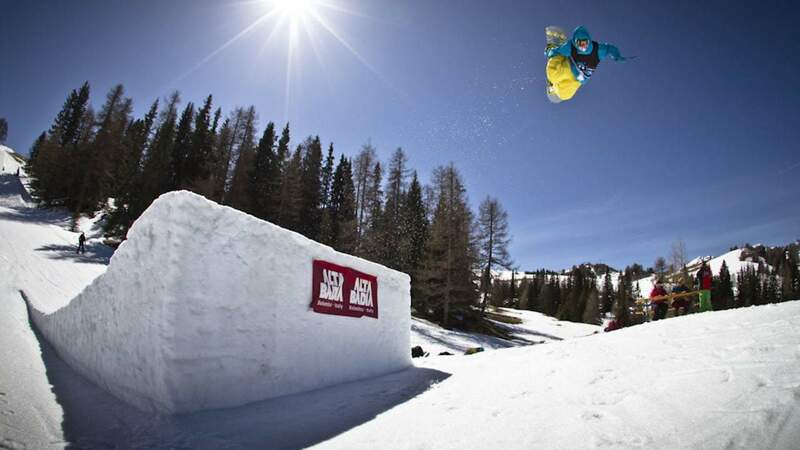 For the more daring among us, the Super Snowpark boasts a variety of jumps and obstacles which should satisfy any freestyle fans. The nightlife in Kronplatz is also one of the best in the region. Ideal for cross-country skiers. The resort features 120 km of pristine cross-country tracks complemented by stunning views. For those who prefer to keep to the slopes, there is also ample opportunity here, with 77km of ski runs ranging from very gentle to adrenaline inducing – the Versciaco/Vierschach black run is a particular challenge. Ideal for lovers of luxury. 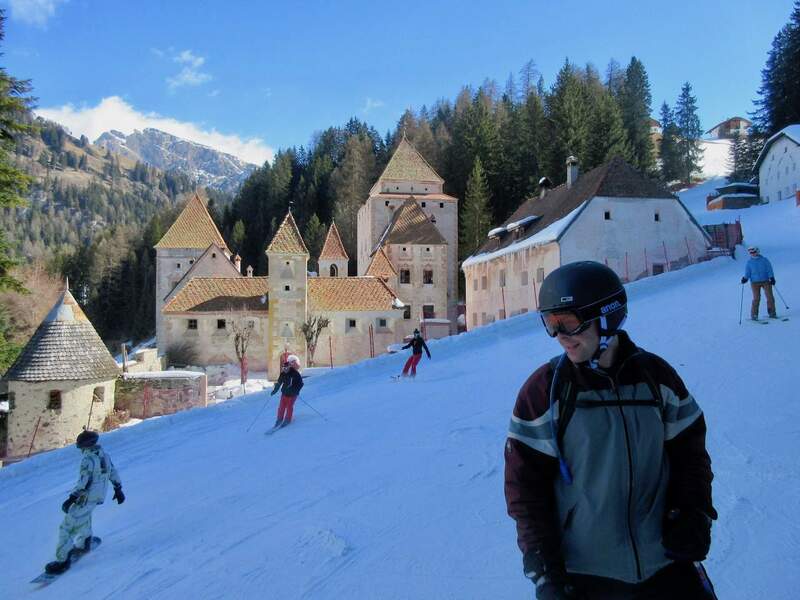 As one of Italy’s most established ski areas, there is a fantastic variety of skiing. What’s more, there is always plenty of snow on the pistes thanks to state-of-the-art snow machines. Holiday-goers can also sample some of the best cuisine in the region, with many of the ski huts providing Michelin star level cuisine such as Restaurant St. Hubertus. 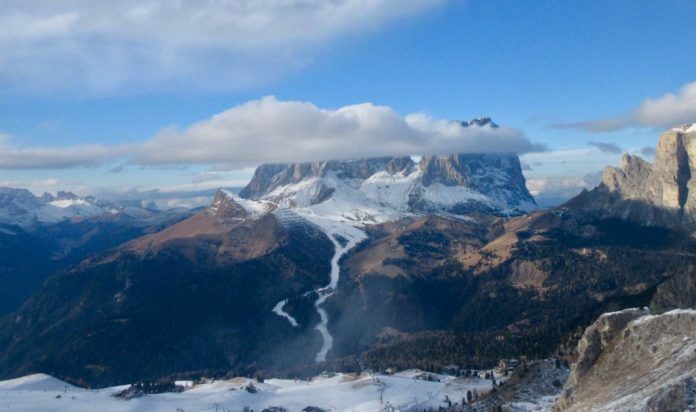 You can ski at all four of these resorts (and many more) with the Dolomiti Superski pass, which admits access to over 1200km of ski slopes. The challenge: The greatest on-piste challenge for skiers in the Dolomites is completing the Sellaronda: a 40 km circuit encompassing four separate valleys including Val Gardena and Alta Badia. It can easily be completed in a day (in both directions), and is well worth the effort as the views are truly stunning. 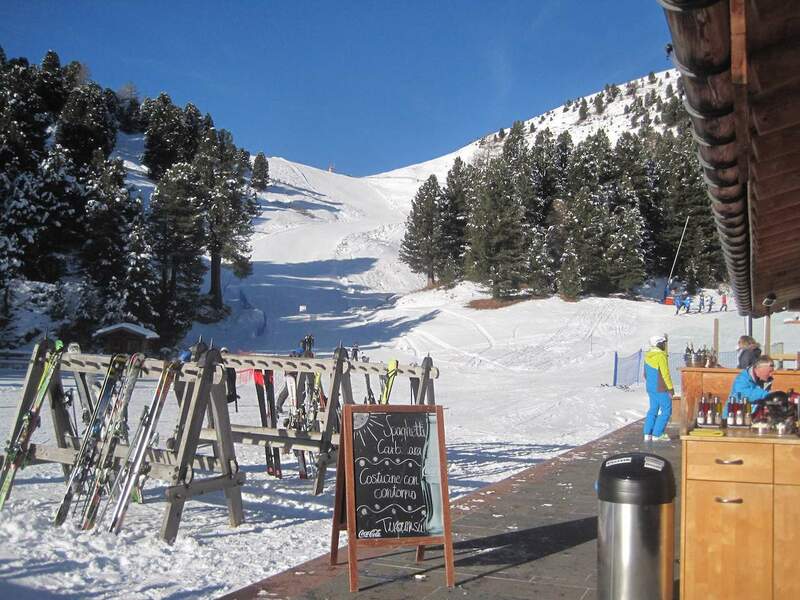 Proximity: The resorts offer instant access to the slopes, as well as shuttle buses to nearby valleys. To escape from the throng: Despite the increase in ‘ski tourism’ in the last few years, South Tyrol ski resorts remain much less crowded than their French and Swiss counterparts. One rarely has to wait more than five minutes before boarding a ski lift or grabbing a table at one of the many ski huts. The X Factor: For those who enjoy regular pit-stops on the slopes, there are rustic huts dotted around the resort providing delicious food and tipples. The regional speciality, Schlutzkrapfen (ravioli with spinach, hot butter and parmesan) is heavenly. Chalets and Hotels in all the resorts are guaranteed to be pristine, with friendly staff and delicious food. All-inclusive deals (flights, ski pass, accommodation and food) are ideal for families, while couples can cosy up in hotel suites for as little as €60 a night. Budget: Kerschbaumhof, Alta Pusteria – clean and spacious holiday apartments with glorious views of the mountains. 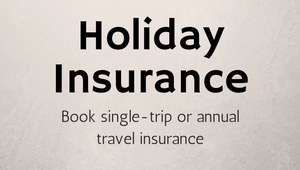 The holiday apartments can also be booked with breakfast. A two-person apartment starts from €56 per night. Mid range: Romantik Villa Cesanueva, Selva, Val Gardena – a charming B&B that is just a 5-minute walk to the nearest ski lift. The restaurant (called Speckkeller) is particularly excellent, as is the breakfast. Rooms start at €75 per night in the winter season. Break the bank: Hotel & Spa Rosa Alpina, Alta Badia – an elegant hotel with an indoor swimming pool and spa facilities. The hotel is also the site of the Michelin star Restaurant St. Hubertus. Rooms start from around €400 per night. The quickest and (usually) cheapest way to travel to the Dolomites is to book a flight to Innsbruck. 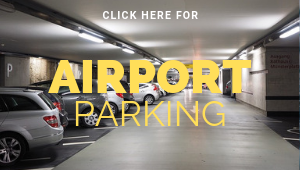 From here, you can take a FlixBus or take a taxi from the airport to your chosen resort. Alternatively you can also fly to Venice or Salzburg, both of which are in driving distance to the resorts of The Dolomites. Be warned: you may need to book a taxi all the way from the airport to your resort, which can be quite expensive (upwards of €200 for a return journey). Next article12 best coffee houses in the UK – are you a coffee afficionado?